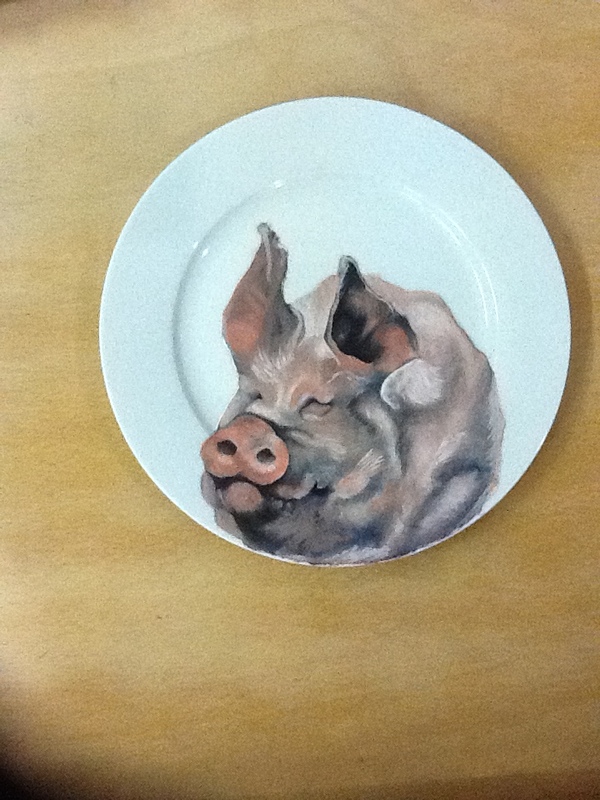 This week I completed my second pig. My peers seem to really like it and I am feeling good about how the work is progressing. The highlight of this week was my curatorial essay tutorial. This semester I am writing about artist in a curator’s role. How material changes the display and display changes the meaning. It is most relevant to my studio work. I have changed my material from paper to ceramic and that it self calls for deeply studying what goes into an artist choosing a material and how he negotiates to display it. I am thinking of displaying my dinner plates as dinner service on a dining table. It seems like a most appropriate setting. For my essay I want to interview Kiran Chandra and Priyanka Dasgupta, two artists who work with mixed media and had their first solo shows in the gallery I worked in New Delhi. I am going to ask them about how their choice of medium affects the context of their work and how they see themselves in artist/curator role. My tutor is encouraging it and I too am looking forward to this semester’s essay.